Conventional laboratory glass cutting tables require manual pressure, first in order to scratch the glass in the position where it should be cut, and subsequently in order to break the glass into two. In addition, these pieces of equipment require continuous quality control to verify that the cutting wheels are operating adequately. A consequence of this is that glass cutting is a craftsmanship requiring special skills. In most laboratories, one or a few people master these skills. Thus, it is challenging for laboratories where many people cut glass to avoid waste due to failure in glass cutting. In addition, glass pieces cut in non-exact sizes often create problems when processed into e.g. solar cell devices. DN-HM14 has been developed to avoid this problem. 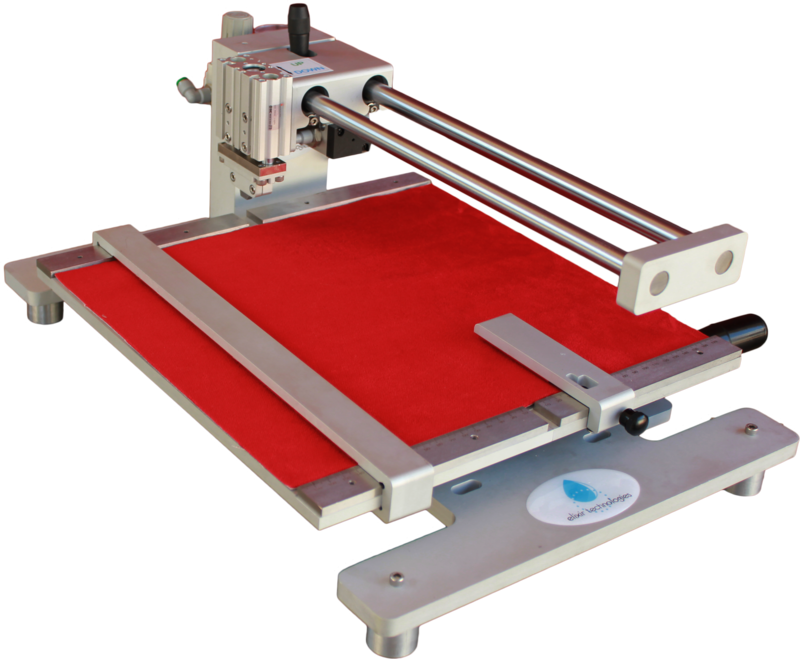 It is a user-friendly table top equipment where no manual pressure is involved in cutting or breaking the glass pieces. The equipment provides exact cuts with a high precision (<0.1 mm) for glass thickness of 1 to 5 mm in glass sizes from 15 mm x 15 mm up to 300 mm x 300 mm. The rubber holding clamp in combination with the millimeter-scaled size definition open for cutting bare glass as well as more challenging configurations such as several working or counter electrodes into single units.